SPECTA MIKADO 820 MT is a compact, easy to use and universal tool for strapping flat and round loads of PET and PP strap. 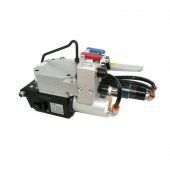 It is designed for use in medium and heavy industrial environments. SPECTA MIKADO 820 HT is a compact, easy to use and universal tool for strapping flat and round loads of polyester strap. It is designed for use in harsh industrial environments. SPECTA MIKADO 825 is a powerful, compact and easy to use tool for strapping flat and round loads of PET strap. SPECTA MIKADO 832 is a powerful, compact and easy to use tool for strapping flat and round loads of PET strap. 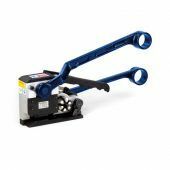 SPECTA ASAHI PRO 10-16 is a battery driven PET strapping tool for different flat and round surface products, such as parcels, packs, bundles, boxes, trays, pallets etc. 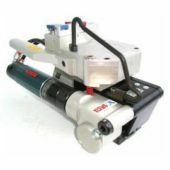 Battery driven sealless combined tool SPECTA ASAHI PRO 19-25 is used for strapping of different loads with flat and round surface, such as packs, packets, bundles, boxes, pallets etc. with plastic straps. SPECTA ASAHI 823 is widely used for PET strapping of different flat- and round-surface products: parcels, packs, bundles, boxes, trays, pallets etc. 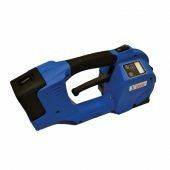 SPECTA ARGOS 816 is a mechanical PET strapping tool for construction materials, as well as woodworking and metalworking products. 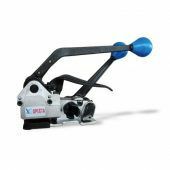 SPECTA ARGOS 850 and 851 are mechanical PET strapping tools for construction materials, woodworking and metalworking products.